Three coats of China Glaze My Little Pony Collection in Sweet As Pinkie Pie. 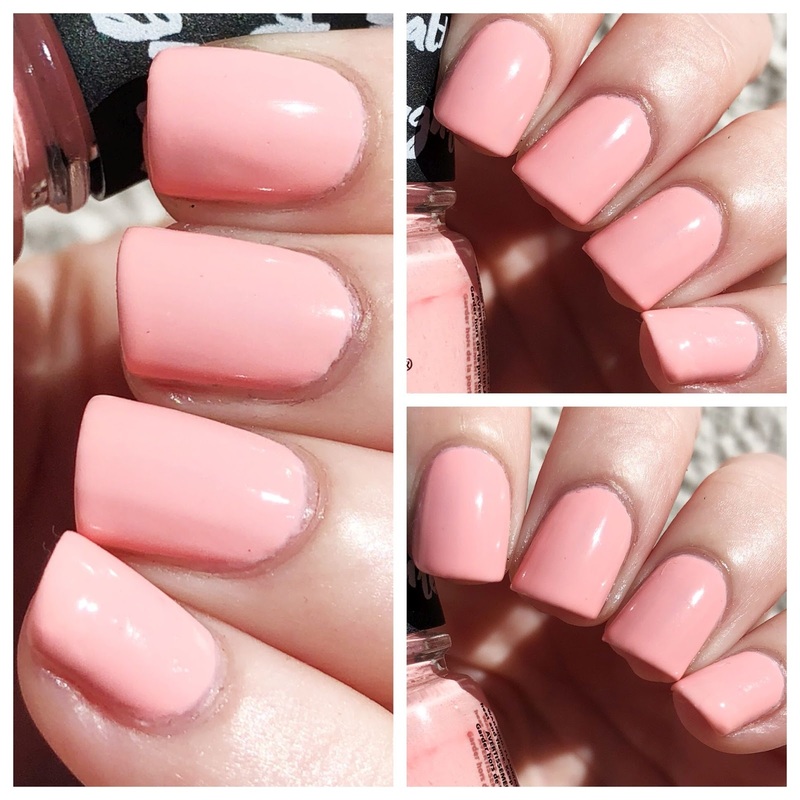 Peachy Pink Creme. How sweet is this shade for Valentine's week tho?! I'm in luuurve! Sweet As Pinkie Pie is one of those pale yet bright colors that gives you an insta-tan and works for virtually all seasons. The formula was a teeny tiny bit thin; but builds beautifully with a trio of coats. Best part? This bad boy lasts! Aside from a touch of tipwear, it maintained its pretty for 6 days!